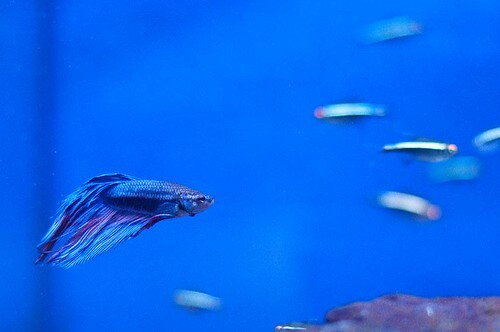 One question that comes to the minds of many (new) Betta fish owners is whether it’s possible to get a few friends for their fish. After all, doesn’t one single betta with an entire aquarium to itself eventually become awfully lonely? Although there are a few options when it comes to Betta tankmates, your fish is actually just as well (or even better) off without them. Keep reading for the do’s and don’ts of Betta tankmates! Note: Contrary to popular belief, Bettas (Betta splendens) cannot be kept in bowls. They need an aquarium of at least 5 gallons (19L) to thrive. For more information about Betta care have a look at the Betta fish caresheet. Need a crash course in Betta care? Have a look at Betta Than A Bowl. When choosing tankmates to keep your Betta company, keep in mind that these fish don’t actually need company. They don’t care if they’re alone; if you add other fish or inverts that’s solely for your own entertainment. In tanks under 15 gallons (57L), avoid adding other fish entirely. Betta fish also often don’t want company. Although aggression levels vary between fish, both males and females are generally quite territorial, not to mention carnivorous. They will attack anything that looks too much like another Betta and some will view anything small as a yummy snack. At the same time Bettas are also rather timid and vulnerable, which means they are easily stressed out by anything that moves too fast, is too colorful or wants to nip their fins. Lastly, they require relatively warm temperatures that are just a little too toasty for many species and don’t do well in hard water with a high pH level. All this means that there are a lot of bad Betta tankmates: any fish or invertebrates that are colorful, fast, aggressive or need different water values should be avoided, which is unfortunately the majority of species in the aquarium trade. Combining your Betta with these fish and inverts can lead to stress, aggression and even death in some cases. Many species that fall into one of the four categories listed above (colorful, fast, aggressive, need different water values) are marketed as good Betta tankmates even though they’re not. So which fish should you avoid? Other Bettas. This includes multiple females! Although increasingly popular, Betta “sororities” are actually a poor choice and at risk of fatalities. Schooling fish (most). Yes, that includes popular choices like white cloud mountain minnows. These in particular are actually bad Betta tankmates as they are too active and need much cooler temperatures. Also includes neon/cardinal tetras (too colorful) and livebearers like guppies and mollies (too colorful and active). African dwarf frogs. Another very popular choice, African dwarf frogs are easily outcompeted for food and might be nipped at. They’re better for a single species setup! Ghost shrimp. Although some shrimp work well with Bettas, ghost shrimp are known to be able to damage your fish. Goldfish. Goes without saying. These grow much too large and need cold water. Cichlids. Colorful, aggressive, active, large. Nope! Gourami. Although they are actually cousins of your Betta splendens, gourami fish are not a good choice. The two species will most definitely see each other as rivals. Even if a species is not on this list, take a long hard look at it before you even consider adding it to your Betta tank. The best option is to just choose a species from the list below. So, you’ve found a fish or invertebrate that is not colorful, very active, aggressive or in need of different water values? Great! As long as it’s suitable for your tank size it might be an option. But always keep in mind: when in doubt, just don’t. The species with an asterisk (*) are fish I’d personally avoid just in case but have been reported to work in many cases. Snails. Probably the best option as long as your Betta doesn’t like to nip at their antennae. Nerites, Malaysian trumpet snails, assassin snails and mystery snails (the latter are only suitable for tanks of 15 gal/57L and up) should work. Shrimp (except ghost shrimp). This is a bit of a hit and miss because many Bettas love themselves a shrimp snack. If there are plenty of hiding places in the form of plants and shrimp flats, dwarf shrimp like red cherries or Amano shrimp might work. Kuhli loaches. If your aquarium is suitable for them these are an alright option. They spend a lot of their time hiding and shouldn’t interfere with your Betta. Provide hides like coconut halves. Otocinclus catfish. An alright option, but only for experienced aquarists. These are extremely fragile and sensitive to bad water values. Corydoras catfish. Also an alright option, although these are pretty active they stick to the bottom water layer. Pygmy Corydoras are especially appreciated for Betta tanks, but always be careful. Harlequin Rasbora, ember Tetra*. Calm, not too colorful schooling fish. This could work, but I personally wouldn’t take the risk. Keep in mind that even if you choose a fish or invert from this list, it might not work with your Betta. Always have a plan B in case of aggression or stress (a back-up tank or a place to rehome fish to). If you have any more questions about tankmates for Bettas or want to share your own experiences, don’t hesitate to leave a comment below! 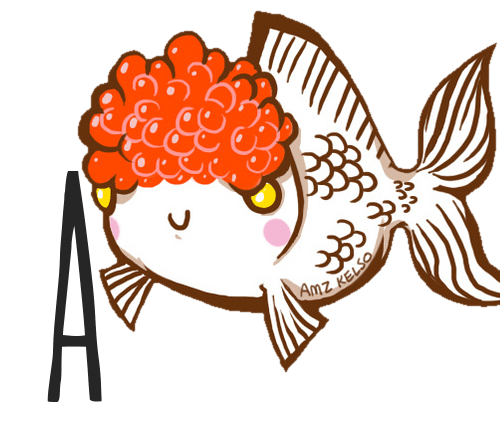 Cover photo: Betta by chunso. Great article! I have a beautiful betta in my 20-gallon tank, along with two female platies. They get along very well, though in a smaller tank I wouldn’t give him any tankmates! In the 20 gallons, they seem to be alright. Plus, since one of them was recently housed with a male platy, she gives birth every month and he is an absolute monster for eating those fry. Otherwise, he just attacks the bloodworms I gave him! I agree with you above, though. Even though my tank works, platy’s aren’t always going to work! I’m so glad I bought my Betta because he LOVES having such a big tank. I hate seeing them in the pet shop because I know that the vast majority of them are going to die in small 3 gallon tanks and fish bowls, and never get to patrol their territory or eat live food or do anything that a fish should be able to do. They are so much happier in a 5 gallon + tank. He’s just a simple, pet store veil tale, but he looks healthier and more beautiful than any of the betas in the store because of his diet and low-stress level! He’s just such a cute, feisty little fish, and I’m so glad people like you are giving out good advice for keeping them so that fish owners like me don’t think it’s alright to keep them in tiny vases and bowls! Thanks for your comment, glad you appreciate the articles! I agree that things can be different in larger setups, although you should definitely still keep an eye on him to spot any signs of stress. With only two platies in there it should be fine, though, especially if there are plenty of places for the Betta to retreat to. I have a five gallon tank that I recently purchased and filled with a large variety of fish. First is my male betta, Tyler is dark blue and red and I believe he is a crown tail tho he may have some longer com in his bloodline somewhere. Next is a mostly black Dalmatian Mollie(whom I believe may be pregnant) then there are 5 guppies, one male double sword tail, one female round tail, two male round tails, and one male coffer tail. Two dwarf catfish not sure exact breed, two African dwarf frogs a dwarf bristle nose catfish and many plants. Now I do realize that this is a large population for such a small tank especially one with a male betta in it. However they all seem to be very content especially Tyler (male betta) he often dives into the guppies then swims away in what seems like a game, no fin nipping or aggressive behavior what soever, not even when we introduced the Mollie and she followed him around for several hours.I was curious as to your opinion on my setup. I would absolutely recommend rehoming all of the fish except for the betta as soon as possible. With that stock the tank is unbelievably overstocked and many of the fish are not compatible. If you keep them in there, there will be deaths sooner or later. I’m sorry I don’t have better news but I really, really, really hope you follow my advice. For a bristlenose pleco alone you need a 30 gallon! Thanks for the advice, I did see some aggressive behavior towards his reflection last night considering moving him very soon. As for the pleco it was labeled dwarf and we were told it wouldn’t get bigger than two inches long. If I keep the other fish in the tank without the betta what can I expect to happen, negatively anyway. They have been together for several weeks. And the icing on the cake I just discovered that Tyler is a rose petal. Glad to hear you’re thinking about moving him. As for the Pleco – dwarf bristlenose plecos? Those don’t exist! Unfortunately you can’t really trust most aquarium stores and you’ll have to do your own research. Plecos all grow to at least around four inches and are absolute poop machines that need a large tank to prevent them from overloading the filter. And that’s exactly what’s going to happen if you keep the other fish in there. There is not nearly enough water and filtration to handle their bioloads and ammonia + excessive nitrate build-up will happen. Ammonia especially can quickly be fatal. In fact, literally none of the species you mentioned are suitable for a 5 gallon except for Tyler the Betta (article about stocking a 5 gal can be found here if you’re curious). Lack of swimming room is also an issue for the livebearers. Another issue is that they’re just not compatible. You can combine guppies, mollies, the pleco and the catfish (depending on what kind of catfish they are) in a ~30 gallon but the frogs and the Betta are usually just best suited to their own individual setups. I hope that makes it a little clearer why this isn’t going to work and you will consider taking my advice. Definitely will consider it, much appreciated, until we can get more tanks its mostly using chemicals to balance the water. I love this article! I’ve bred and kept bettas for years, and can testify that as long as care is chosen, they can not just survive but thrive in community tanks. The lists here are, though incomplete, highly accurate from my experience. I especially agree that gouramis and goldfish are bad, and loaches are good, but I would add non-fantail guppies to the list of good. That’s actually my primary reason for initially using bettas in community tanks – a non-aggressive predator that helps in the guppy breeding process. – guppy populations who feel threatened by predators will produce more, though slightly smaller babies. Even there though, I again urge great caution. I never leave females in when they are nearing birth time, as they can become aggressive. Aside from that, the only time I have ever seen a betta get attacked by a guppy was one time I dropped some guppy fry in one of my solitary bettas, and the fry, I kid you not, started going after the betta instead of vice versa. It was pretty funny, and in the end, Mr. Betta won handily. I left guppies, even non-fancy ones, off the list because of their preference for harder water and active nature. While you might have been succesful with them I wouldn’t feel comfortable recommending the combination to other fishkeepers. If great caution is necessary (as you describe) then the risk is just too high for me personally and it might be especially problematic for new fishkeepers.